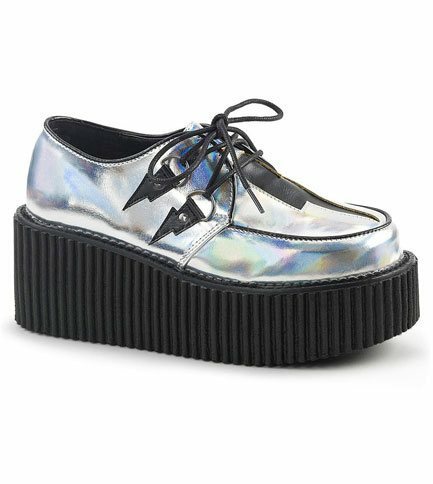 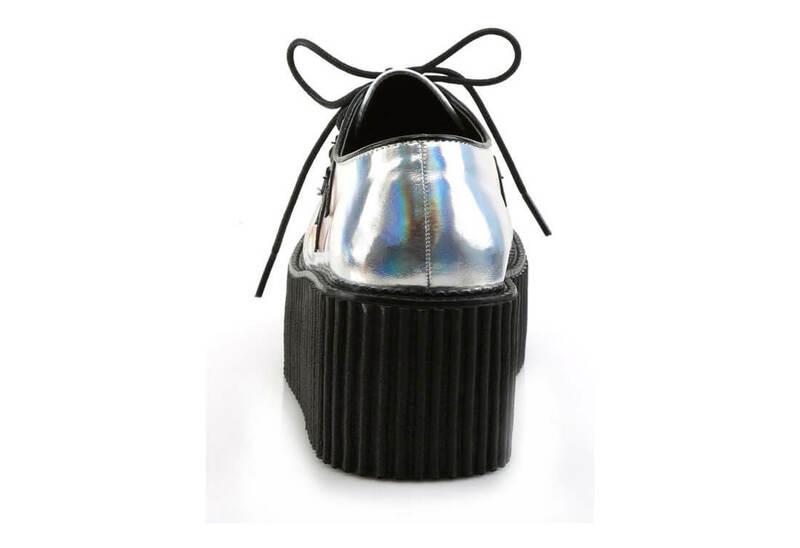 These fantastic looking creepers are made from silver holographic PU. 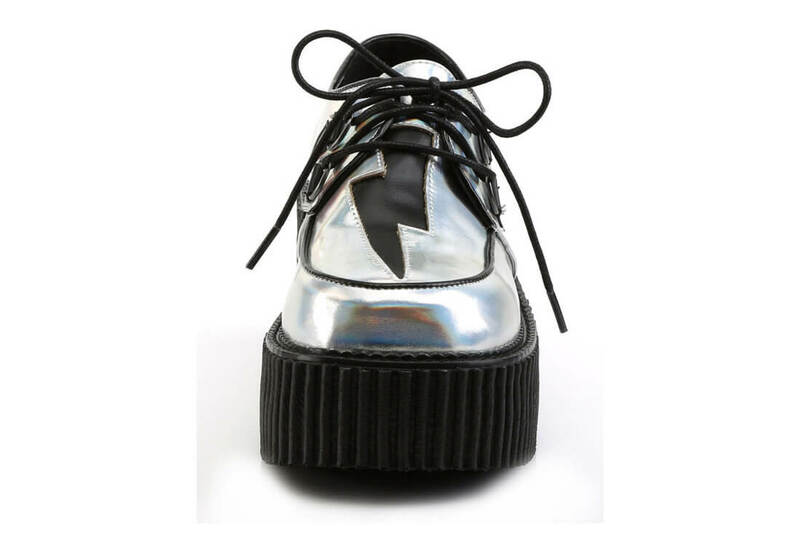 They have black lightning bolts on the side D-rings and one large bolt on the front. 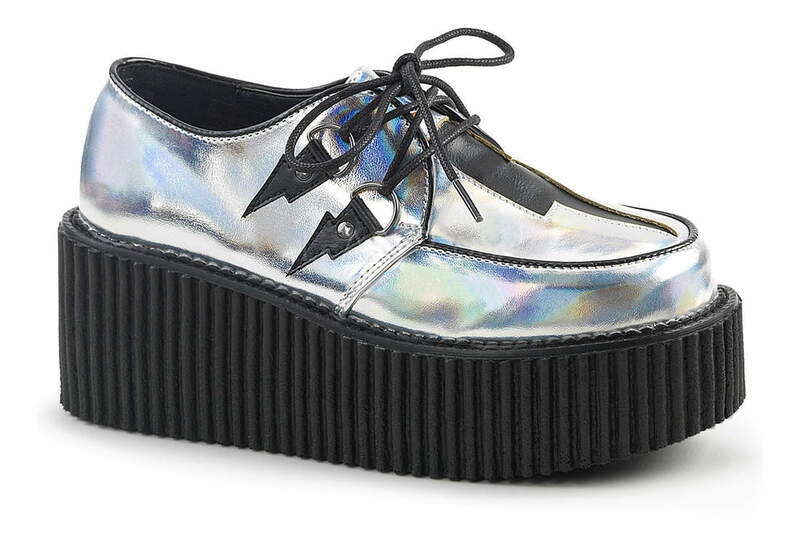 comes with a 3 inch platform. 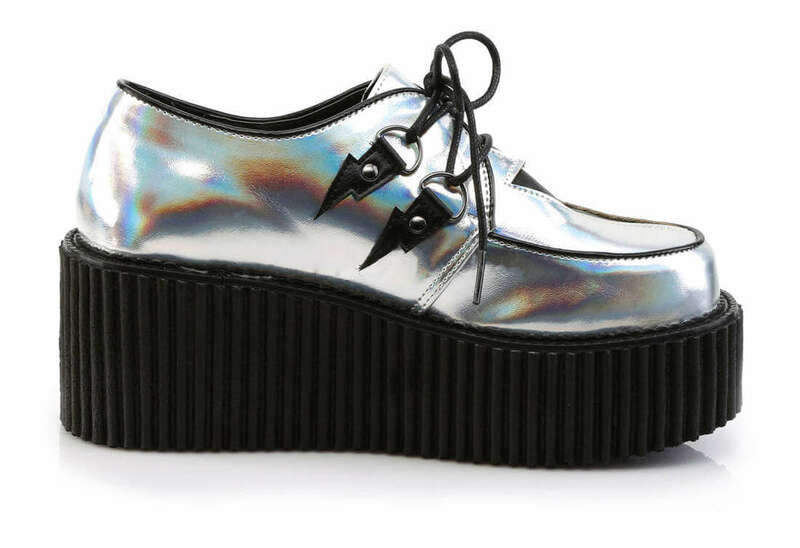 Very ziggy!